One of the Three little pigs…running from the Big bad wolf looking for his lost family member. Maybe he finds one of them… or maybe he finds the Wolf instead. 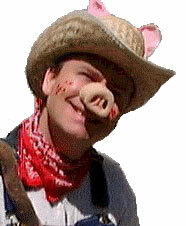 You love this Piggy as he squeels his way into your heart.